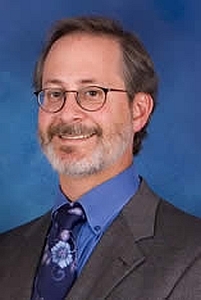 Dr. Gary B. Moss grew up in Norfolk, Virginia and attended Norfolk Academy. He received a BA in Biology from the University of Chicago and an MS in Human Physiology from Georgetown University. He graduated from the Medical College of Virginia, where he also completed his Internship and Residency in Internal Medicine. He served as a Fellow of Allergy and Immunology at Barnes-Jewish Hospital and Washington University at the St. Louis School of Medicine. He is Board Certified in Internal Medicine and in Allergy and Immunology. Dr. Moss is on staff at Sentara Norfolk General Hospital, Sentara Leigh Memorial Hospital, Bon Secours De Paul Hospital, Chesapeake General Hospital and Children’s Hospital of the King’s Daughters. He served as President of the Asthma and Allergy Society of Virginia from 2008-2010. In 2012 and 2014, he was selected by his peers in a Hampton Roads Magazine survey (now called Coastal Virginia) as a “TOP DOC” in his field. Dr. Moss is married and has three children.